Where to see the Evzones? The Evzones in Athens are a must-see for your kids. And not only kids will be amazed. 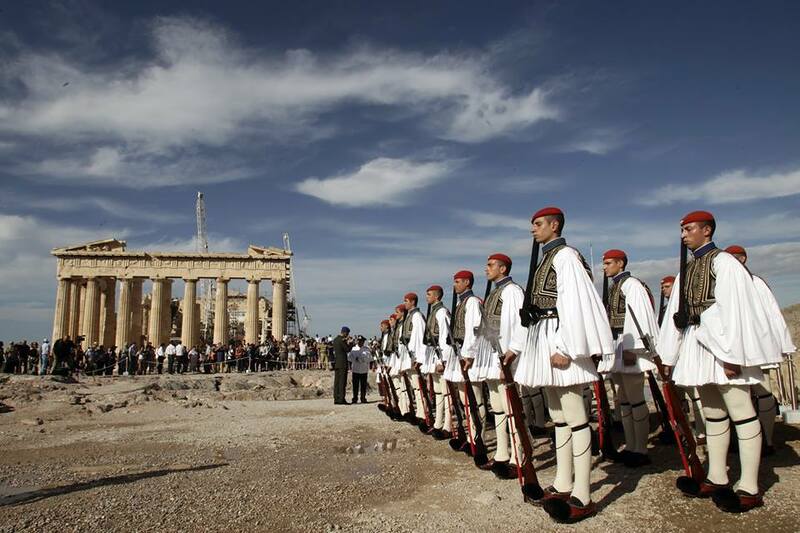 After living in Athens for so many years, the sight of these traditionally dressed soldiers is always exciting. 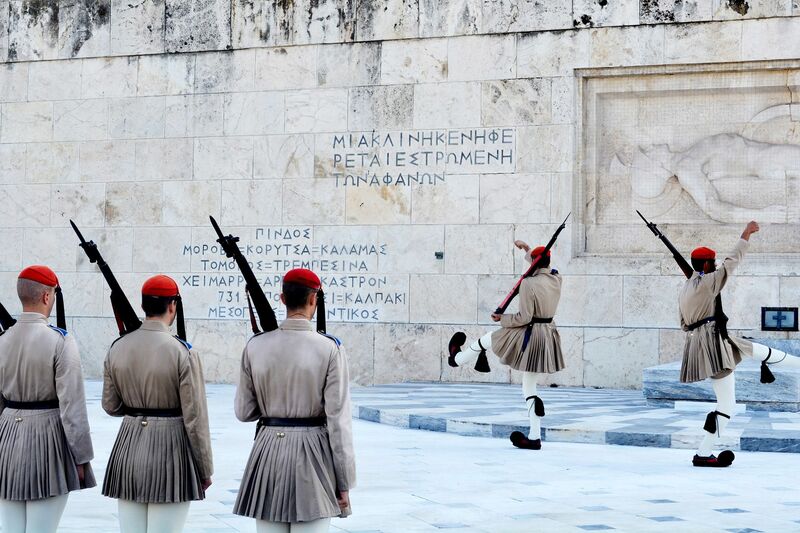 A visit to the Greek capital is not complete without admiring these historical elite members of the Greek army. They have become synonymous with the city of Athens and were originally founded in 1868. An Evzone is also known, colloquially, as a Tsoliás. Evzones are known for their distinctive uniform, which evolved from the clothes worn by the klephts who fought the Ottoman occupation of Greece. 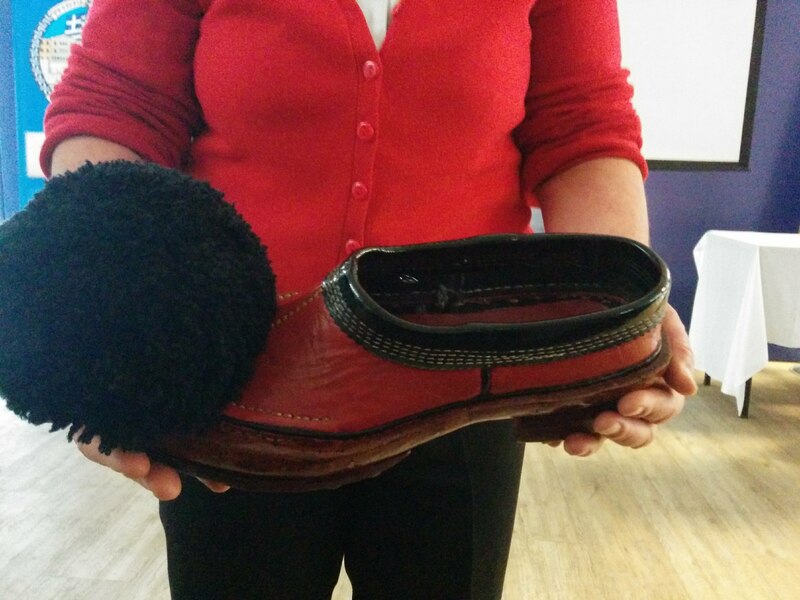 The most visible item of this uniform is the fustanella, a kilt-like garment. 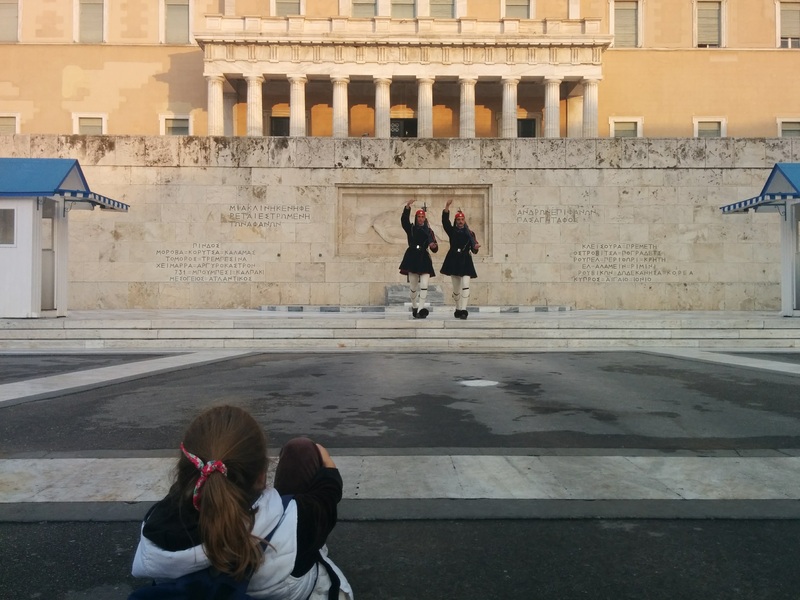 They are the most famous for they stand proudly in perfect stillness in front of the Hellenic Parliament. 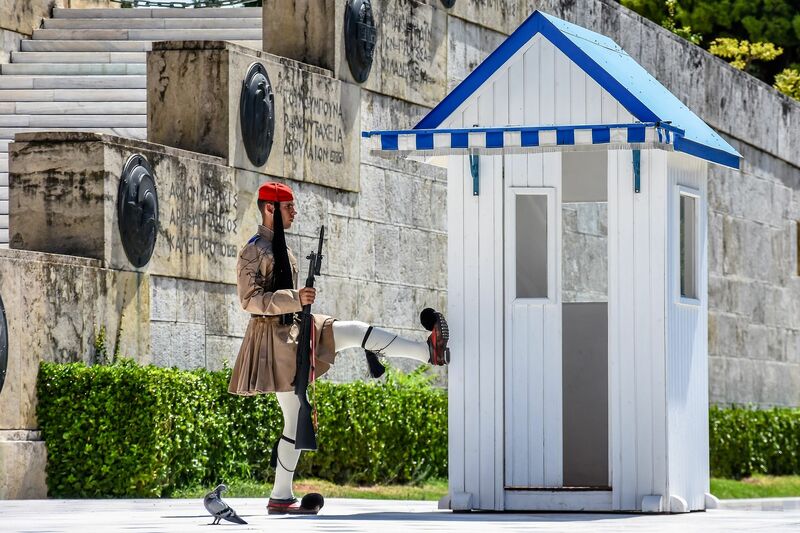 The Evzones in Athens are originally historical elite light infantry and mountain units of the Greek Army but their name nowadays refers to the members of the Presidential Guard, a ceremonial unit that guards the Greek Tomb of the Unknown Soldier. They are also on guard at the Presidential Mansion in Athens right behind the Parliament Building and the National Garden. You can easily combine a visit to Syntagma Square and the Parliament Building with the Presidential Mansion. It takes about 15 minutes to walk from the one to the other. 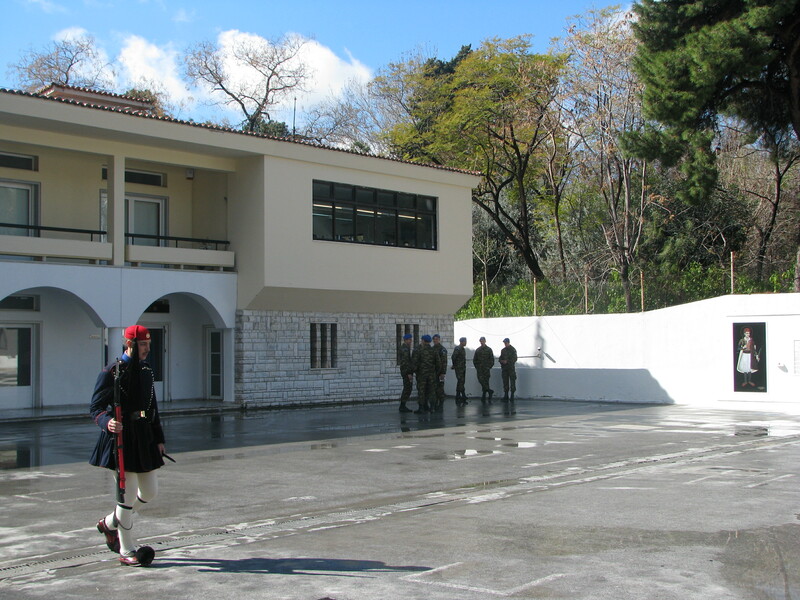 In between the Parliament Building and the Presidential Mansion is the army camp of the Evzones in Athens. It is an amazing experience to see the soldiers leaving the camp marching their way towards their posts. Every Sunday morning at 11 am, people gather in Syntagma Square to watch the official changing of the guards. 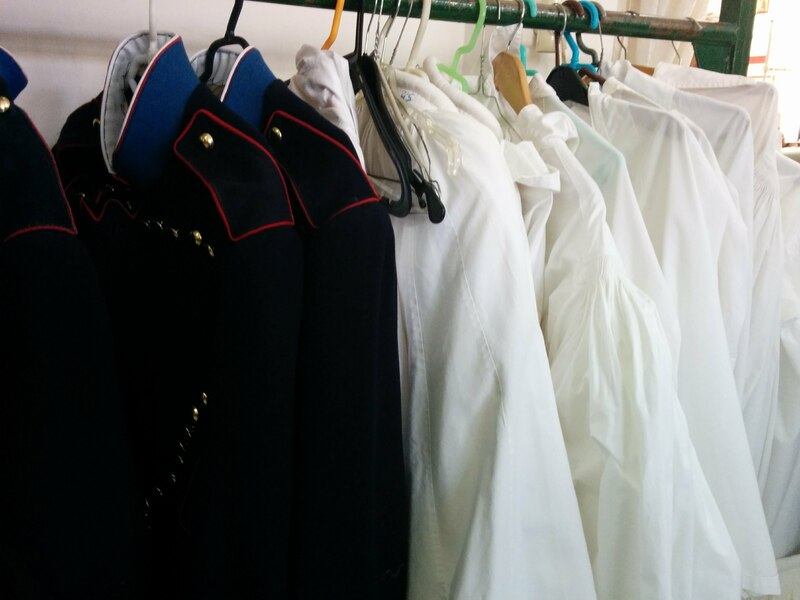 There are changes every hour of the day, but on Sunday is the official ceremony with the official costumes. A very special experience that I was lucky enough to experience is to see the Evzones on Sunday at the Acropolis. You have the climb the rock at 8am or be the last to leave at its closing time at 8pm (summer) to watch the Evzones making their way to the Greek flag on the Belvedere. Each Sunday, the Evzones raise the flag in the morning and lower the flag at sunset, accompanied by members of an Athenian marching band playing the national anthem. Other duties of the Evzones in Athens are presenting arms and welcoming foreign leaders, accompanying the President of the Hellenic Republic on official visits abroad, the annual participation on March 25th military parade in Athens and the October 28th military parade in Thessaloniki. If you are lucky enough to be visiting Greece during that time with your family, do not miss a chance to see them! 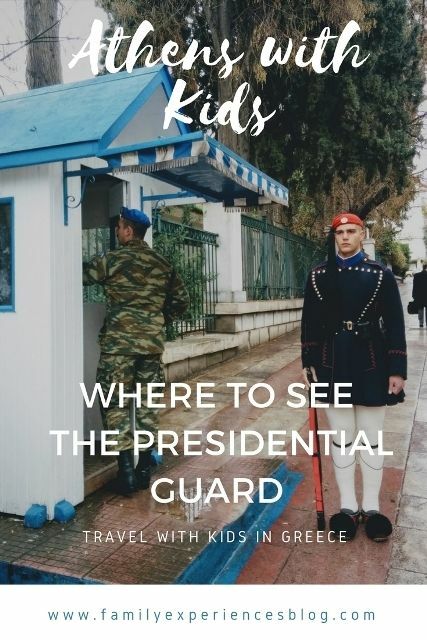 Although I have been a citizen and Family Travel Blogger for Athens for many years and have been on numerous tours in the Greek capital, I never had the opportunity to make a visit to the Presidential Guard Army Camp. This privilege was organized this week by Livin’Lovin and proved to be an unforgettable experience. During a presentation by one of the officers at the army camp, I learned everything there is to know about the unbelievable historic bravery of these elite soldiers in the wars, about their history and symbolism, their uniforms and arms, their different names throughout the history and the different ranks, training, and functions. 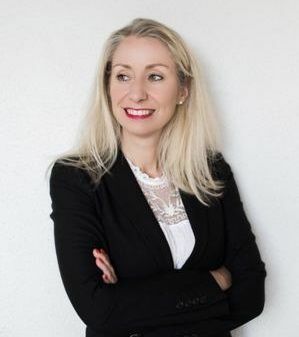 To become an Evzone, there are several criteria. Among other, a soldier must have a height of no less than 1.87 meters and excellent physique, which can be tested during the long and strenuous training that can last several months. Their notorious training involves the development of the ability to stand still for an entire hour and the synchronized ceremonial steps. 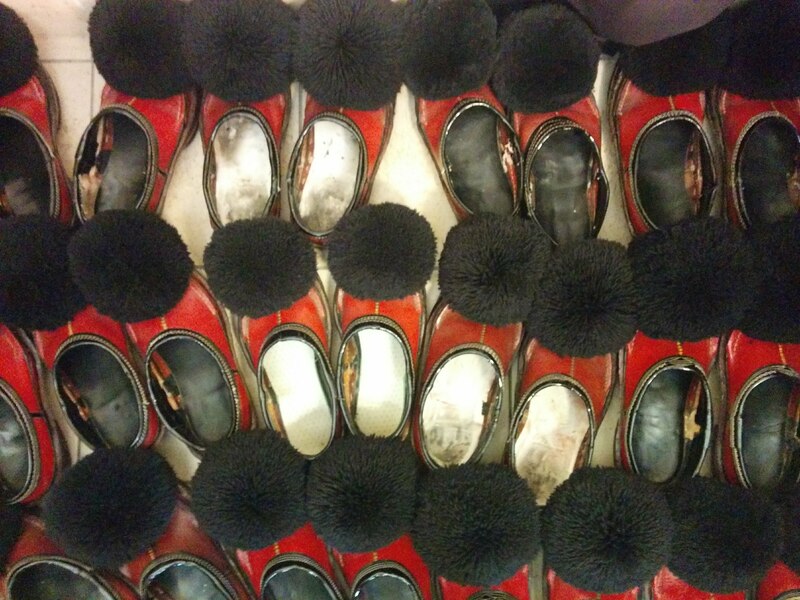 In order to protect the Evzones’ blood circulation following the motionless 60 minutes, the ceremonial steps are carried out in slow motion. Evzones are waiting to start their guard. Before leaving the camp, they have to stand totally still for 10 minutes. 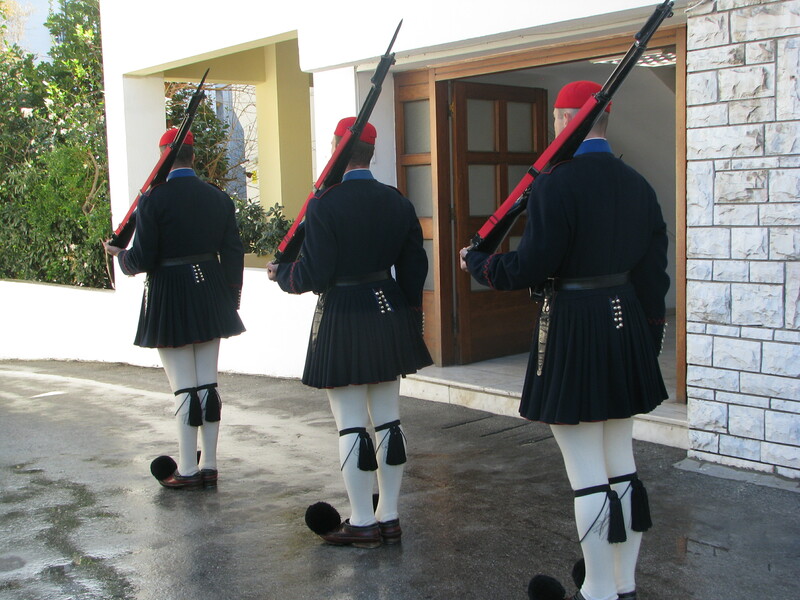 The uniform of the Presidential Guard has a historical meaning referring to the uniform of the Kleftes and Armatoloi, two groups of Greek warriors during the War of Independence in 1821 against the Ottomans. 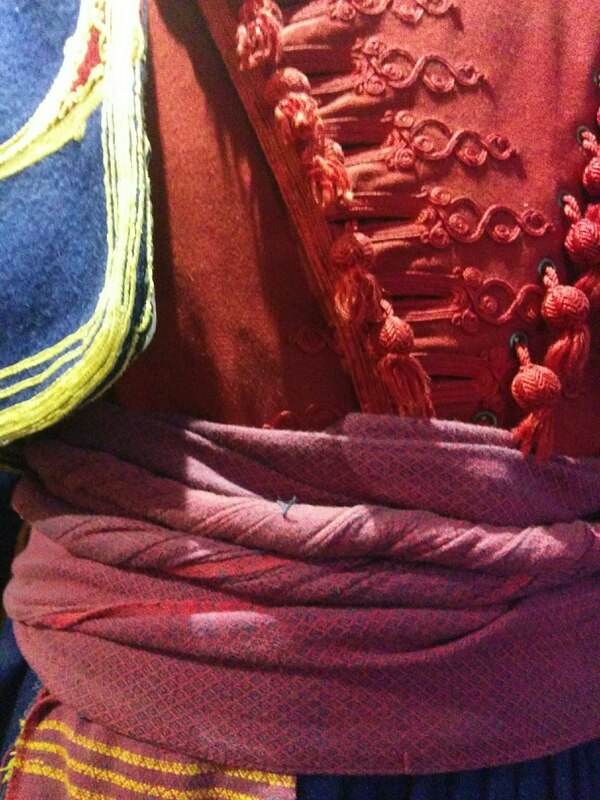 The white skirt of the uniform has 400 folds to represent the 400 years of Ottoman occupation over the Greeks. Each side of the white shirt sleeve also has 200 folds. 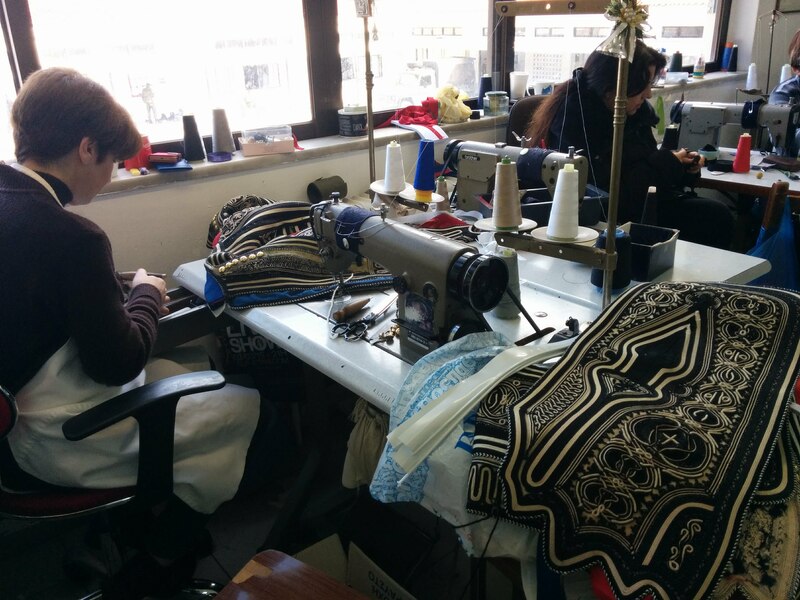 It was amazing to feel this fabric of high quality in my hands and see how it is made in the on site Evzones workshop. 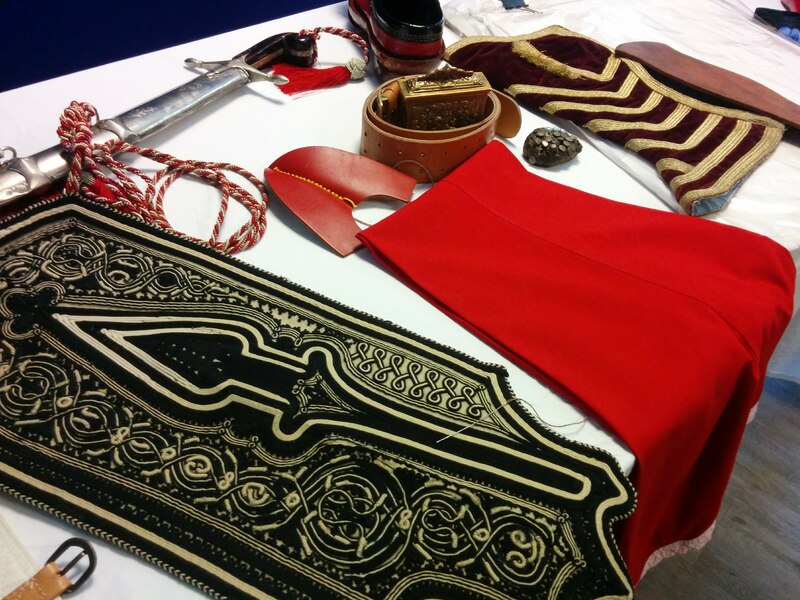 The uniform consists of the red phareon hat, made from red baize with a black tuft, the white shirt with wide leaves, the phermeli, which is the waistcoat and it is the most difficult part to construct, handmade, the Greek kilt created with meters of white cloth and the so typical tsarouchia, the traditional shoes of Evzones which are red, made of leather, with a small tuft in front. 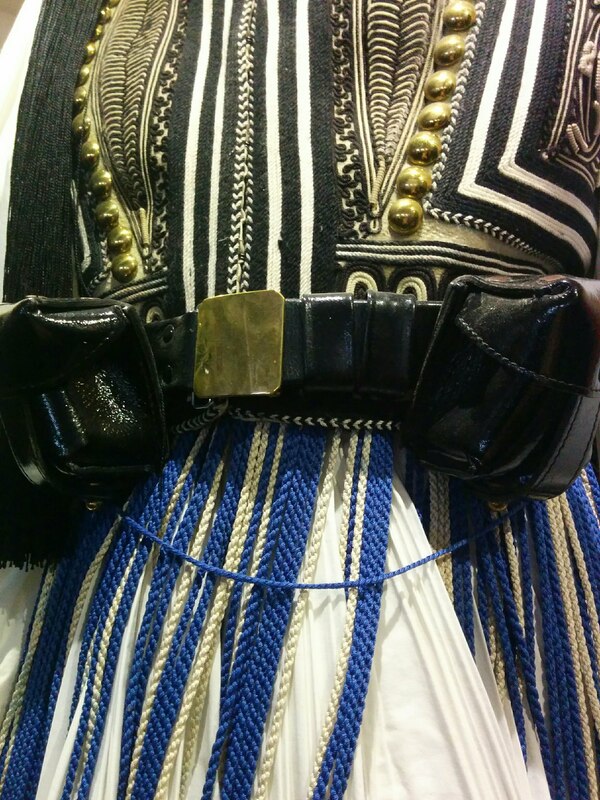 There are the fringes, blue and white standing for the Greek flag, the garters which are made of silk, the leather belt, the inside garnet, and the gun which is the most difficult piece to carry, not only for its gravity but also for the physical pressure that exerts to the soldier’s body. This is the official version of the uniform that the Evzones wear only on Sundays and National holidays. The other days, the white shirt, the phermeli and the Greek kilt are replaced by the so-called doulamas, a special uniform that the soldiers of the Macedonian Struggle (1904-1908) used to wear. This uniform is blue in winter and brown in summer. In official ceremonies, the Evzones also wear the traditional uniforms of Crete and Pontic Greeks. If you want to teach your children more about Greek history, folklore and culture, or you simply want to be amazed by these special guards standing still or marching through historic monuments, than do not forget to miss your chance when visiting Athens. 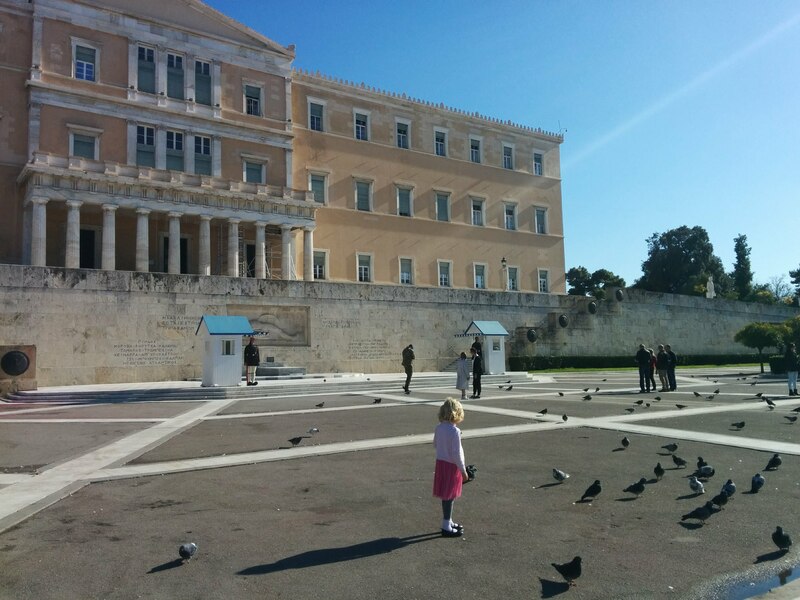 Take young kids to the central Syntagma square where they can run around freely, feed the pigeons and watch the Evzones in Athens. You can also admire the Parliament building here (not open to the public) and have a coffee. You can then continue to visit the next door National Gardens for some shade in the summer or to see the little zoo inside for some animals or have a picnic. Enjoy your family visit to Athens! 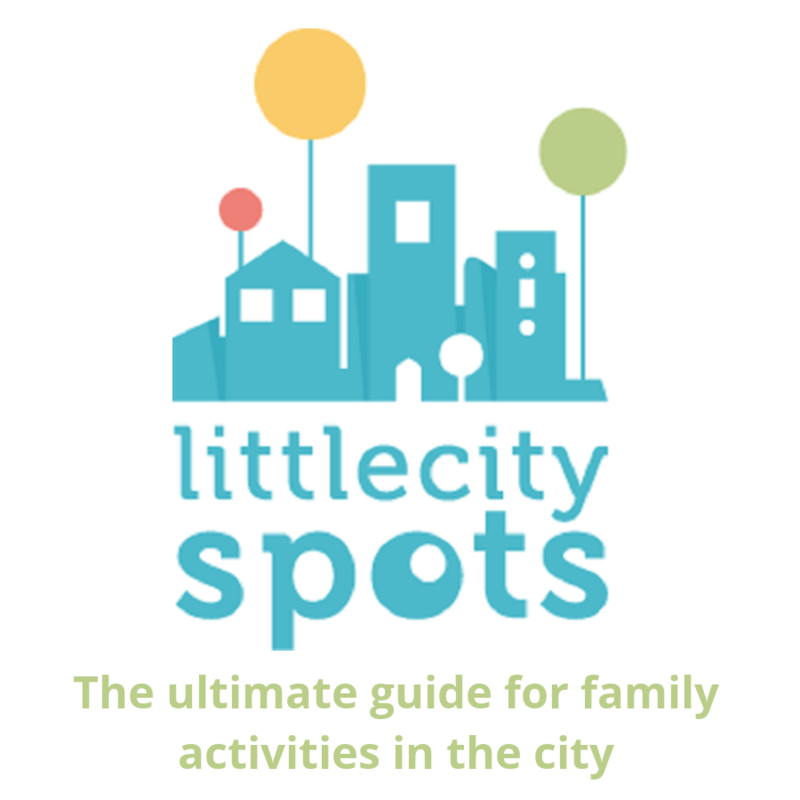 For more inspiration in Athens, check my post Athens with Kids top things to Do. 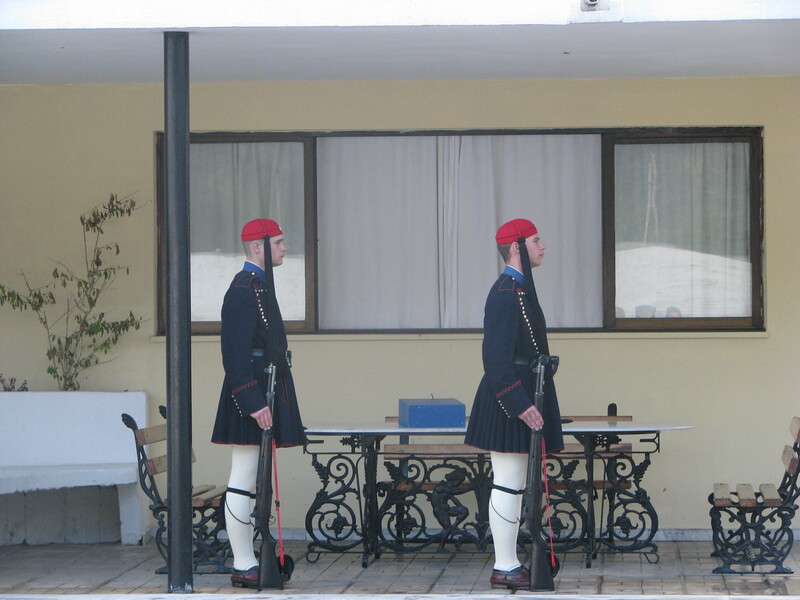 I had the pleasure of seeing the change of The Presidential Guard during my trip to Athens 3 years ago. It was in Syntagma Square and it was a really amazing experience. Those soldiers are so disciplined. It attracted quite a crowd too. I actually live in Rodos, and I am really keen to make another visit to Athens. It is a wonderful city. Thanks for this information. I really enjoyed your site. Thanks so much for your feedback and kind words. I hope you will be back soon in Athens. I am planning to add Rhodes for families to the blog, so if you have any tips for families there, do let me know!